Online professional learning resources designed to be engaging and practical across a variety of contexts and roles. You deserve a differentiated experience just as much as your students do. #NationalPoetryMonth kicks off on April 1, and you’re invited to celebrate with NCTE! Whether you teach poetry as a unit or interweave it into your lessons throughout the year, we know that poetry is powerful and speaks to both students and educators alike. 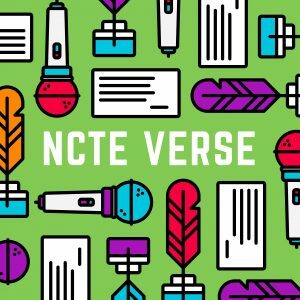 Join NCTE members from across the country in NCTE Verse, a member-exclusive FREE professional learning opportunity aimed at providing ideas and inspiration around poets and poetry! We know that our members are teaching with poems from many incredible authors that NCTE has yet to write about. So this year we’re featuring the poets our members are teaching right now and our members are the ones who have curated the resources! Sign up to receive emails during the month of April!